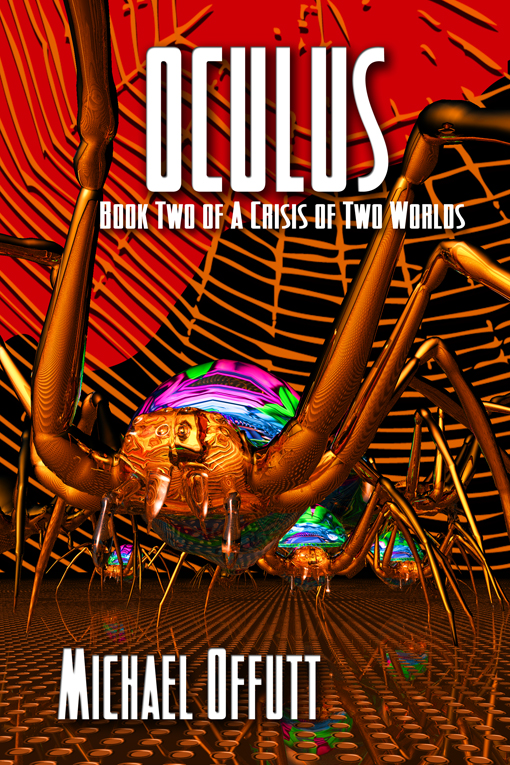 Oculus is a captivating second installment in speculative fiction writer Michael Offutt's series A Crisis of Two Worlds, which blends theoretical science with British mythology and religious concepts. In the first book, Slipstream, we learned that main character Jordan Pendragon, an orphan from Salt Lake City, Utah, and his twin sister Kathy are critical players to solve a complex problem that threatens the existence of two worlds: Earth and a parallel sister-world called Avalon. Using the power of a phenomenon of speculative physics called "the slipstream," Jordan was able to move between Earth and Avalon, taking his sister with him. There, the siblings hooked up with an underground "rebel alliance" group that is trying to help the side of good to overcome the evil currently running Avalon. In Oculus, the Pendragon twins and each of their Avalon boyfriends are back on Earth working to find the Black Tower, which houses something that defines the nature of the universe. To do this, Jordan and Kathy have enrolled as freshmen at Cornell, which has a machine Jordan plans to use to help him identify the location of the Black Tower. Because he has gained admission to Cornell on a hockey scholarship, Jordan's life also includes a lot of hockey, in addition to a lot of theoretical physics, and sexytimes with his boyfriend. Jordan's sexual orientation becomes more contentious in this book, whereas it was not treated as important or even particularly relevant in Avalon. Additionally, apparently due to his hockey-player physique and darn good looks, it begins to seem that everybody has the hots for Jordan Pendragon. However, his boyfriend Kolin is more worried about Jordan's immature nature and tendency to go off on his own to try to save the world, in complete disregard for his own safety or the concerns of his friends and sister. Readers who wondered about the Pendragon's parents will be pleased to learn more about the mystery barely touched upon in Slipstream, as Offutt reveals in Oculus the fate of their father -- a particularly poignant point in the book which drives Jordan to use the power of the slipstream in a new and terrifying way -- as well as some information about their mother. Disclaimer: I wrote this review as part of the author's online book tour. I volunteered to do this because I enjoyed the first book and I enjoyed Oculus. I bought my own books; nothing was given to me to share this review. 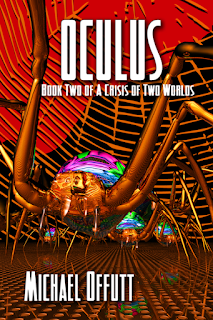 From there, you can get Slipstream and Oculus as e-books for $4.99 each. Two fascinating sci-fi books for under $10 seems like a pretty great deal to me! (Michael has noted that Oculus is on sale through his publisher in December 2012 for $1.99 -- I highly recommend you all jump on that!) They are also available in print.